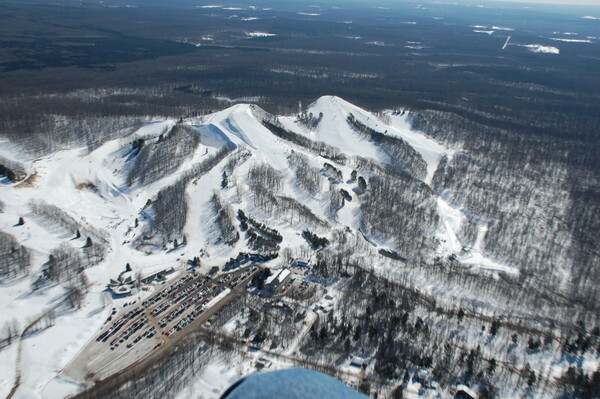 Caberfae Peaks near Cadillac, Michigan stands alone as the first destination ski resort in Michigan history and one of the first in the country. Celebrating 75 years in 2012, making it the fourth oldest ski resort in the United States, it has been a touchstone for thousands of Midwest skiers spanning generations. The resort's name has Scottish roots. Caberfae, the Scottish name for Stag’s Head, was granted to Colin Fitzgerald, founder of the MacKenzie family in the year 1255 by King Alexander III of Scotland, whose life Fitzgerald saved from a hunted stag deer. 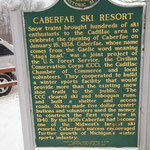 The name of Caberfae was applied to the land around the present ski area by Kenneth MacKenzie of Chicago in 1919. Because of his ancestral background and the large number of deer herds in the area, he called it Caberfae. The area originally encompassed 28 square miles and was intended as a cattle ranch. The ranch ended as a failure after 7 years and the land, in part, was purchased by the United States Government for National Forest purposes. A fire tower was erected near the top of the highest peak. 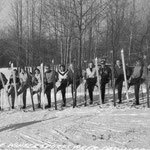 During the 1930's, some residents of Indiana, Grand Rapids and Cadillac were participating in winter sports, and were interested in starting a local ski area. 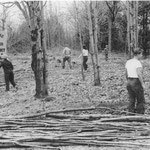 The United States Forest Service co-operated, and a winter ski area was created, with a Civilian Conservation Corps building and a single ski run, known as "Number One" being built. The first ski lift, a rope tow, was powered by a Ford Model A car engine. This engine was later replaced by a Packard Motor Car engine. The first official opening of Caberfae was held in January of 1937. 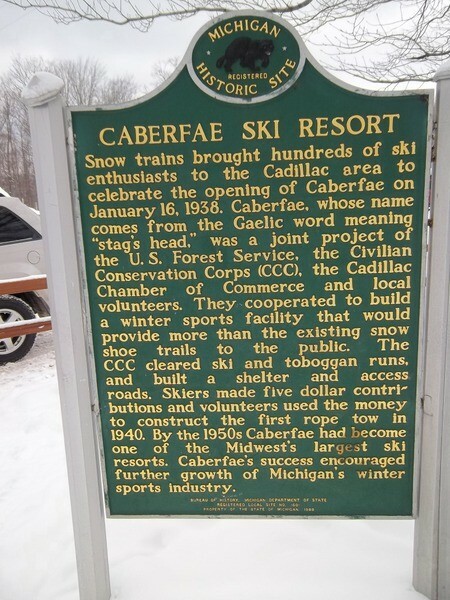 In 1939, operation and control of the area was turned over to a newly created group, the Caberfae Winter sports Club, Inc., which was formed by the Caberfae Ski Club and the Cadillac Chamber of Commerce. The new group was issued a non-profit permit to operate the ski area by the U.S. Forest Service. Five hundred and eighty acres were set aside for development of a year round recreation area, including the prime highlands with steep and heavily forested north and west facing slopes for skiing. Vestiges of those early efforts still remain today. The first run carved from the forest, Number One, now comprises the lower left side of North Peak. An area then known as “The Bowl” is now the site of South Peak. 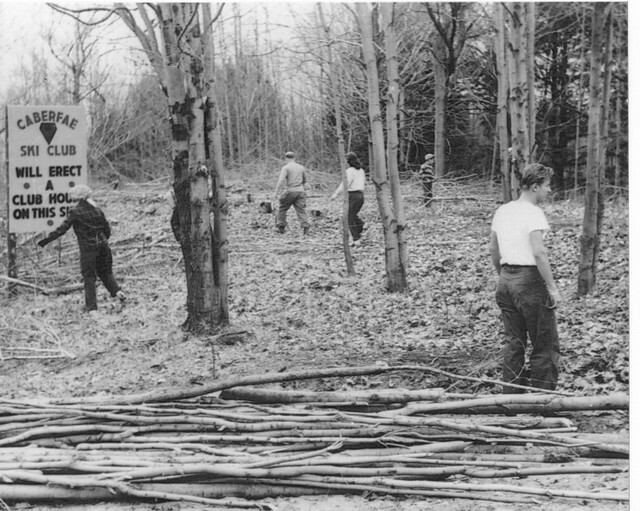 Before the 1942-43 season, a dozen more trails were cleared and several rope tows were installed. 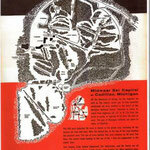 World War II intervened and the ski area was not operated during that time. The area remained closed until the winter of 1946-47. *Click on a photo below to see a larger size and caption. 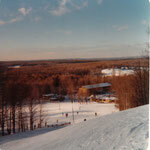 The end of World War II signaled the reopening of Caberfae Ski Resort near Cadillac, Michigan. Many American service personnel returning from Europe had been introduced to skiing during the war and this fact spurred a increased interest in the sport here at home. 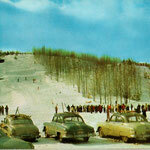 When Caberfae reopened for the 1946-47 season an estimated two million Americans had taken up skiing. 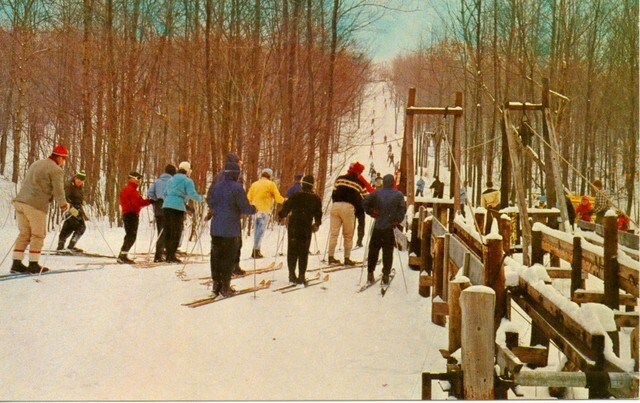 Boyne Mountain would not open until 1948 and Crystal Mountain didn't open until 1956, so Caberfae stood ready to take its place as Michigan's premiere destination ski resort. By the 1948-49 season, the resort boasted of 14 runs and 7 electric tows. The “electric” tow ropes were a major improvement from the gasoline engines that powered tows at many other ski areas. 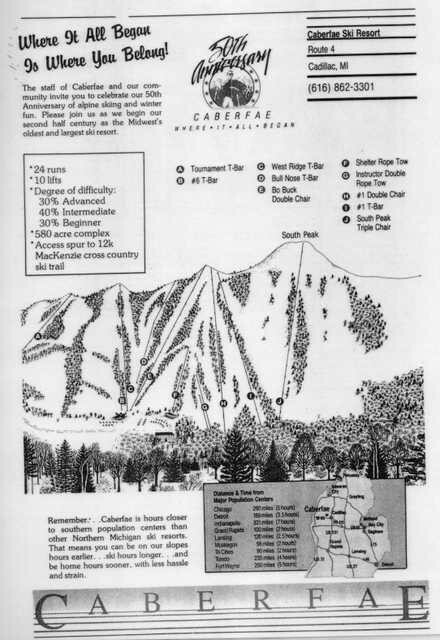 One of Caberfae's most famous lifts was a double rope that took skiers to the top by following a path between the Number One and the Number Four (now Canyon) runs. 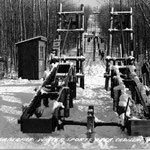 In addition to these “modern lifts,” Caberfae had gentle slopes for novice skiers, a 15 acre slalom bowl for competitive skiers, a thirty meter ski jump, two toboggan runs, cross country ski trails, a snowshoe trail, a ski patrol, and ski instructors to provide lessons. 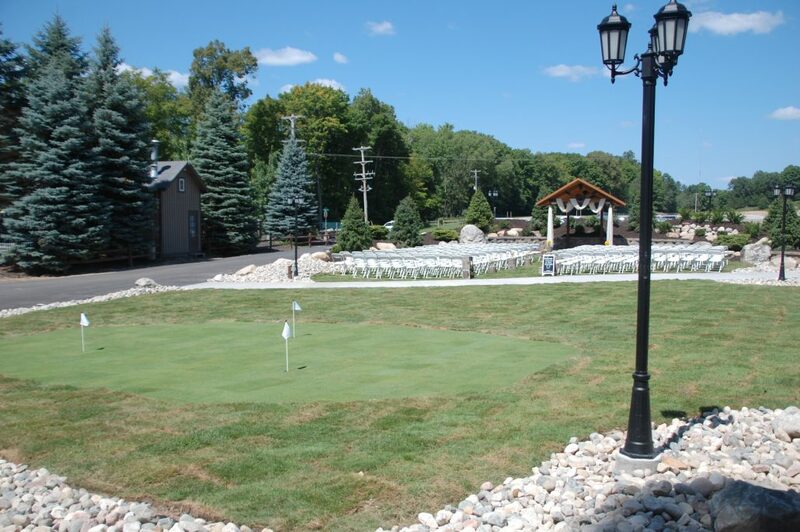 Amenities included parking for 700 cars, ski rentals, and food service. A 5,900 square foot day lodge known as the Upper Deck opened in 1950, giving skiers a new place to warm up and trade tales. 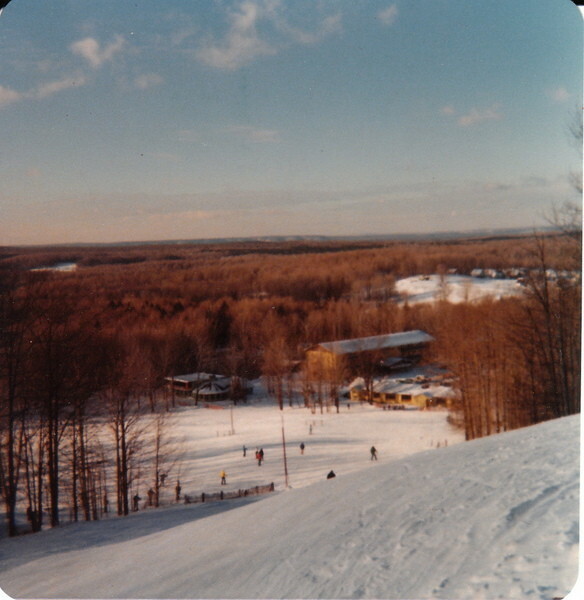 The resort was so popular that the Central United States Ski Association utilized Caberfae as the site of several important sanctioned events and documented that attendance at Caberfae exceeded that of any other Midwestern ski area. 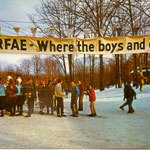 By the time Caberfae progressed into the mid-1950s the resort was booming as Michigan's largest winter sports area. An improved highway system and regularly scheduled “snow trains” made Caberfae accessible to over 35,000 skiers a season. On busy weekends it was not uncommon for crowds to exceed 4,000 skiers per day. Due to high maintenance costs and the increased demand for more ski trails, the toboggan slides were eventually abandoned and Caberfae became strictly a ski area. 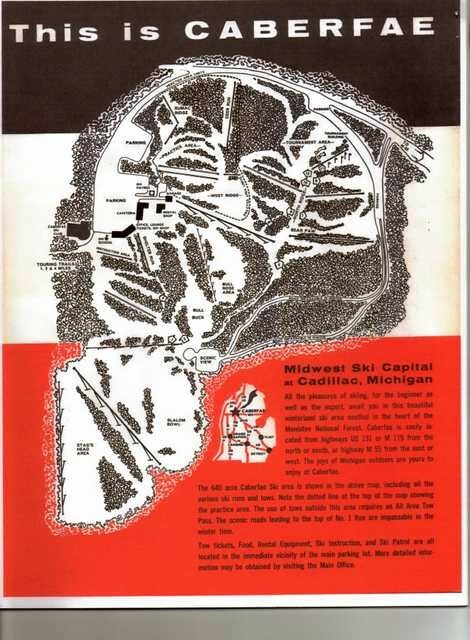 By this time Caberfae was calling itself the “Midwest Ski Capital.” To bolster that claim, a 1954 advertisement detailed what the resort had to offer: 27 expert and graduating intermediate ski runs, 16 large capacity ski tows, a large rustic shelter with lounge and cafeteria, a triple practice area, a 25-acre slalom bowl, a modern ski shop, and new equipment rental facilities. 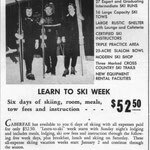 The ad also promoted a Learn to Ski Week package comprised of six days of skiing, lodging, meals, ski tow fees, and ski instruction for $52.50. Deals like this just made the resort even more popular. 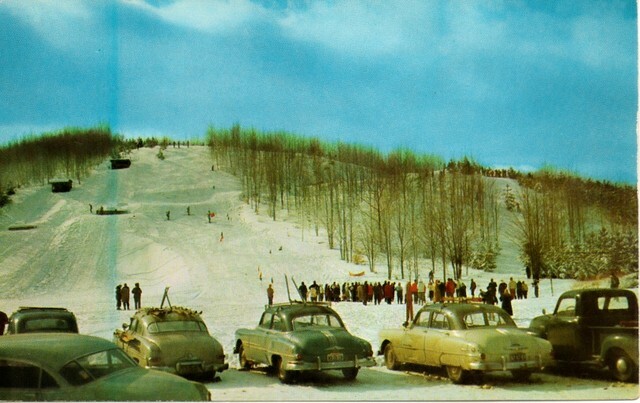 A postcard from the 1956-57 season (issued by Avery Studios of Saranac, Michigan) noted that 47,000 skiers visited Caberfae that winter. Snowmaking came to the slopes of Caberfae in 1957 too, so the resort was able to augment the annual natural snowfall. That was followed by adding three more runs the following winter, the largest single terrain expansion to date. Not every improvement went as planned, however. 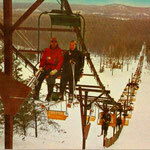 What was to be the resort's first chair lift was purchased from Mt. Snow, Vermont in 1957. Set up along the west side of the Number One run, the 2,000 foot, 104 bench double chair was not a typical cable lift, but instead utilized a series of chain conveyors (and was in fact called a "conveyor lift"). In addition to being very slow and incredibly noisy, the overhead chains spewed greese on the skiers riding on the chairs. Making matters worse, a poor design caused many of the metal parts to warp over the off-season. After running for the 1959-60 season, the chair was dismantled and sent back to the manufacturer. Undaunted and drawing on it's rich history, Caberfae was still poised to enter the 1960s on a roll. *Click on a photo below for a larger size and caption. As the 1960s dawned Caberfae was still in expansion mode. 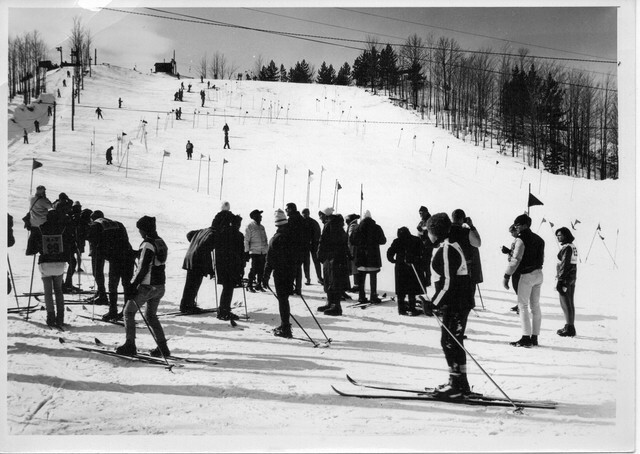 Five T-Bar lifts were added between 1959 and 1963: Bull Nose, Number One, Stag's Head, West Ridge, and Tournament. 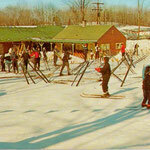 Added to the array of tow ropes this gave Caberfae twenty lifts servicing 35 trails during the mid-60s. Also on hand to greet the new decade was a 15 member instructional staff. 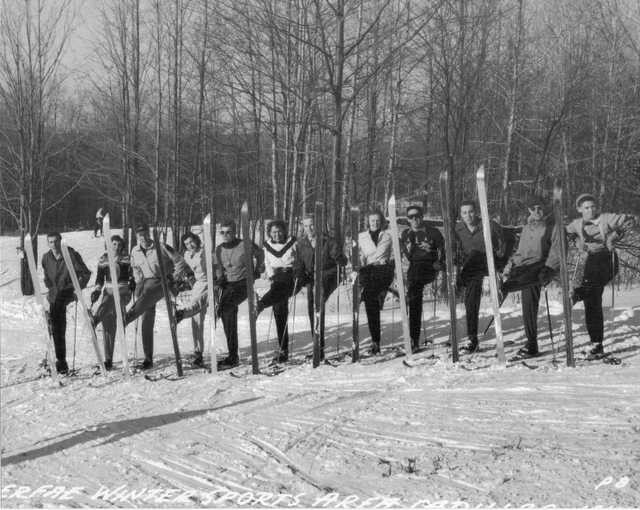 It was not uncommon for the ski school to teach as many as 500 lessons per day on a weekend. 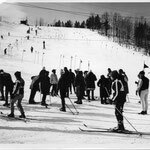 Skiers still flocked to Caberfae, 32,000 during the 1963-64 season, and Caberfae clung to its roots as the friendly and affordable ski resort it had always been. It had tremendous community support. The reality, however, was that the resort had to have great Christmas weeks in order to be profitable and during the 1965 and 1966 holday periods a dearth of snow put the resort in a perilous financial status. Even new snowmaking that covered 80% of its slopes for the 66/67 season was not enough to save the day. As a result, the ski area was sold to a private stock company in 1967, thus ending thirty years of management by a non-profit board of directors. The sale, though, spurred a flurry of activity over the next few years. 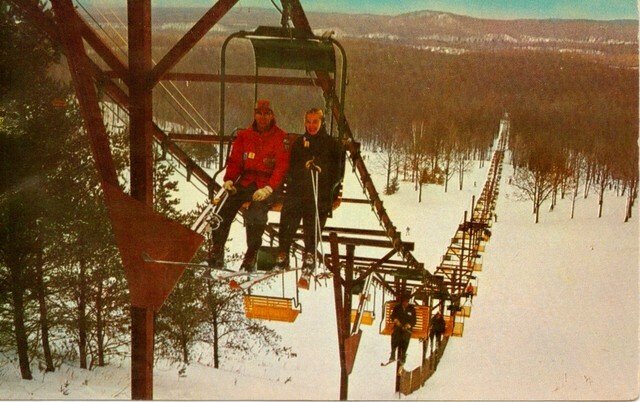 During the summer of 1967 two chair lifts went up and both were in operation in time for the Chirstmas week. The Number One chair replaced the double rope tow between the Number One and Number Four (Canyon) runs. 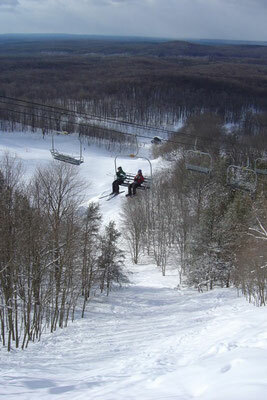 Further east, the Bo Buck chair gave skiers access to new terrain. Caberfae had entered the chair lift era. In 1968, the Skyview cafeteria opened. With huge picture windows, a fireplace in the center, and complete food service the Skyview quickly became a popular meeting place. That was followed in 1969 by the opening of the Edelweiss Lodge (now the MacKenzie Lodge). this 31,000 square foot hotel offered on-slope lodging in 36 rooms, a restaurant, a comfortable lounge, and several meeting rooms. 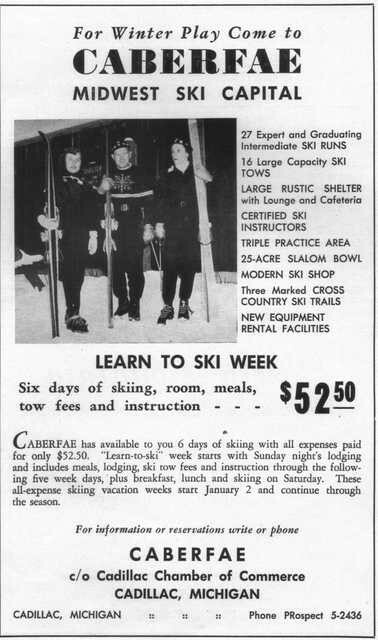 With all this in place, Caberfae still was a major player in the ski industry. 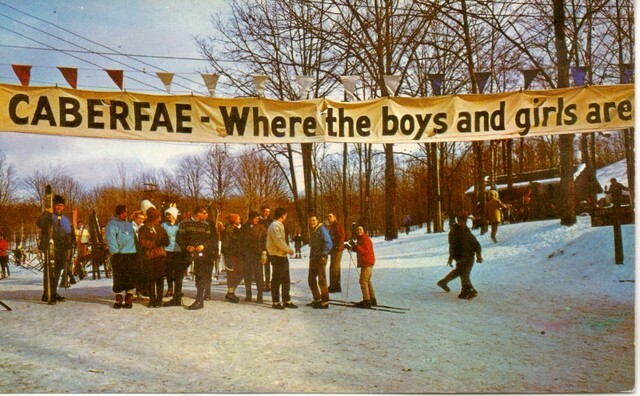 A 1971 postcard from the era shows a group of college students on spring break under a banner that says: "Caberfae - Where the boys and girls are." This was a spin-off from the popular teen movie "Where the Boys Are" and Caberfae's way of saying "We're still the place to be." Through the late 1970s Caberfae was an expansive operation. The ski ski area boasted a huge amount of terrain, but it was a far-flung operation. This made the extension of snowmaking to the outer boundaries a tough proposition. 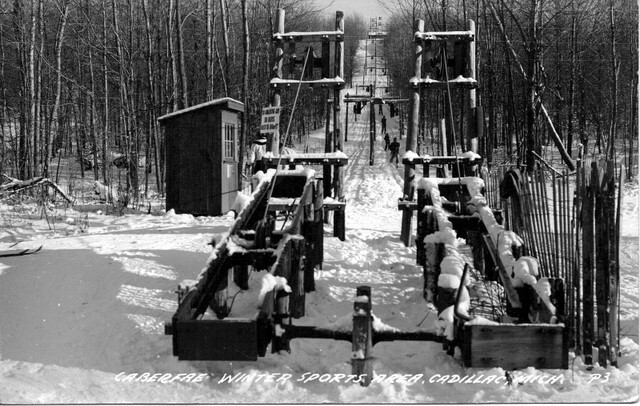 Many places at Caberfae were so far away from the resort's base area that constructing chair lifts to them was cost prohibitive. In 1975 an additional T-Bar, #6, was added to the service on West Ridge. As the 1970s drew to a close, however, financial difficulties became a reality for the resort. 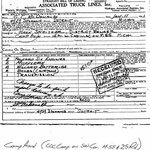 A transition was in Caberfae's future. *Click on a photo for a larger size and caption. By the time the 1980s began, Caberfae was a failing operation. The stock company that owned the area was looking to either sell or close the area and bankruptcy loomed. Things look bleak for the dean of Michigan's ski resorts. 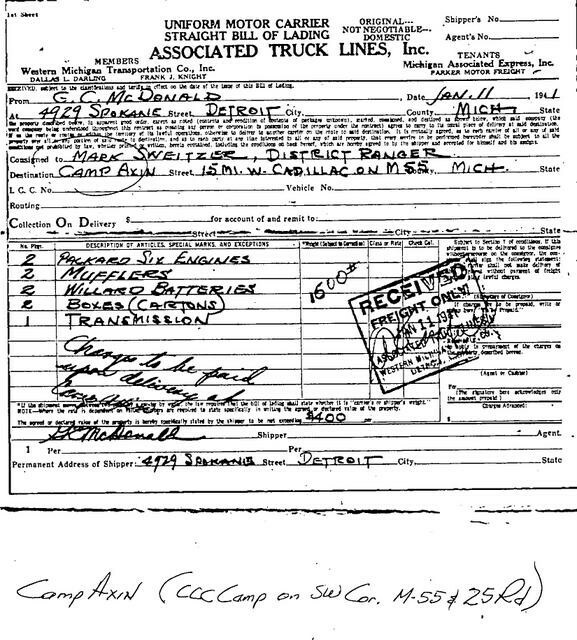 That was until the Meyer Family of Cadillac, locals who had been skiing Caberfae since they were kids, bought the ski area. In addition to guiding Caberfae out of bankruptcy, they also set a course to reclaim the resort's former glory. 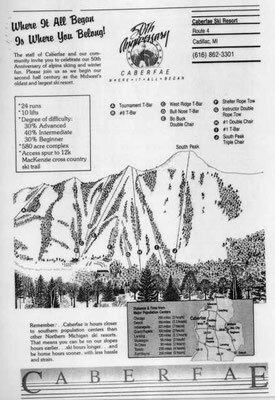 Caberfae became Caberfae Peaks with the development and opening of South Peak in 1983 (fully completed in 1986) and North Peak in 1992. A triple chair on South and a quad chair on North gave the resort an entry into its future. Today those peaks give Caberfae 490 feet of vertical and a commanding 360-degree vista of the Manistee National Forest from their summits. Along with terrain development, in 1988 a land swap with the Forest Service gave the new owners control over the resort’s property. Due to this a more realistic resort footprint was created and over time the rope tows and T-Bars were removed along with the outer reaches of the terrain they serviced, like North Ridge, West Ridge, Bull Nose and Tournament. 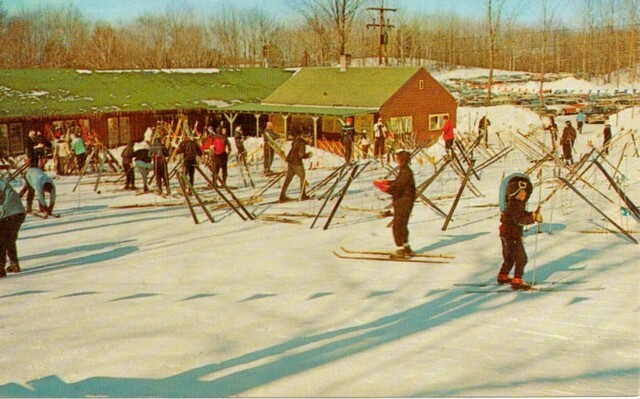 In 1991 the Shelter rope tow was replaced with a double chair and in 1992 another double replaced the old Instructors rope tow. This brought the chair lift total to five (at the time). While the outside operation was being transformed, so was the core skier service area. 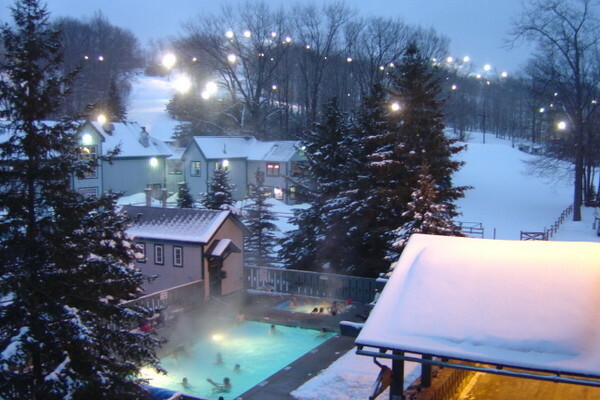 The result can be seen in today’s base area that includes a ticket office building and a rental building which opened in 1996, the Blackmer Day Lodge which debuted in 1999 as northern Michigan’s biggest day lodge, the refurbished 36-room MacKenzie Lodge hotel (formerly the Edelweiss), and a swimming pool/hot tub in front of the MacKenzie. The momentum has launched today's Caberfae Peaks back into the spotlight as one of the state's top ski areas. Skiers are now lured by a $99 season pass, lift ticket deals, weekly email blast deals, and Internet coupons on the resort’s state-of-the-art website. Every year visitors see improvements, like the widening of Smiling Irishmen in 2011, a beginner run off the top of North Peak outside and the debut of Beattie's Bar and Grill in the MacKenzie Lodge. 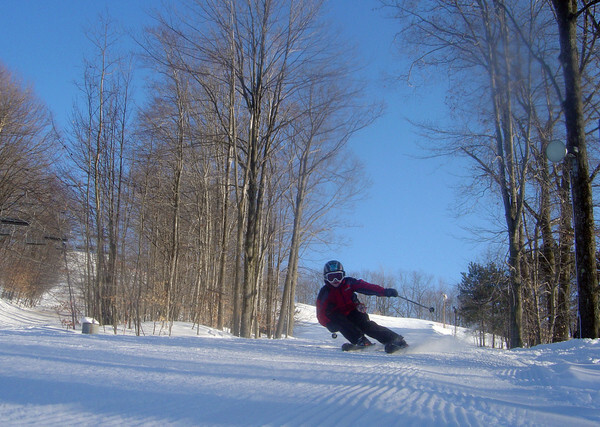 Snowmaking and grooming improvements were highlighted at Caberfae Peaks for the 2012-1013 season. Thirty-two additional energy efficient snowmaking fan guns were added, with 22 of the new snow machines tower mounted on the Canyon, No. 1, Cruiser, Easy Street, Liberty and Charlie trails. 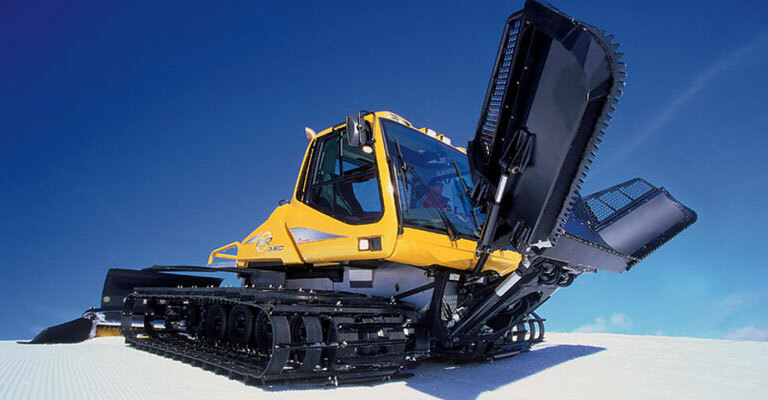 To make that snow perfect to ski on, the resort added a Bombardier Snow Groomer to the existing grooming fleet. For the 2013/2014 winter season, Caberfae opened the only backcountry skiing & riding in the Lower Peninsula. The area offers another 5 to 7 more open runs, trees, glades, chutes and plenty of untracked powder spanning approximately 25 acres. The backcountry terrain holds plenty of natural snow with its favorable Northeast exposure, protecting it from the sun and the prevailing winds. 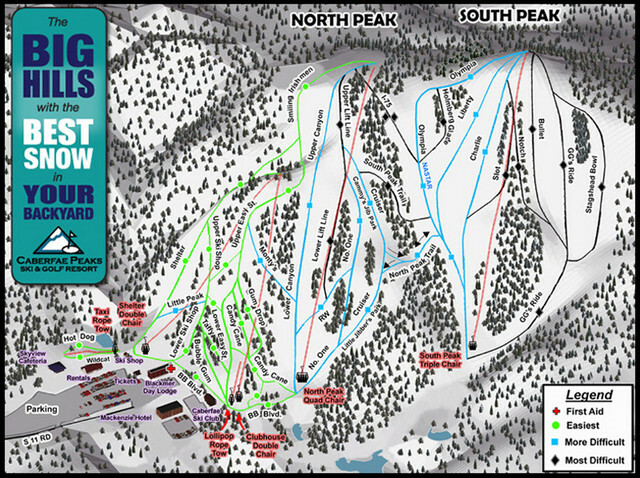 The out of bounds terrain can be accessed from the North Peak Quad Chair and is located to the east of North Peak. Start by heading down Smiling Irishmen and then you will see the backcountry signage/entrance on the right hand side. Take warning: there is no grooming, no snowmaking and no lift access. As a result, depending on how deep you go in, the further you will have to hike back out to the Shelter Double Chair (some areas can be accessed with little or no hiking). Enjoy the beauty of North Michigan at Caberfae Peaks, where you can always find fresh tracks after a recent snowfall! It's just you, Mother Nature, plenty of fresh snow and Pure Michigan! For 2015/2016, Caberfae Peaks bolstered its snowmaking, given the Blackmer Day Lodge a new color scheme and improved the table management program, and added new adult rental skis and new snowboard equipment rentals. The big change for 2016/2017 was the addition of a brand new triple chairlift, The Vista, on North Peak. This replaced the old Club double chair and gives better access to North peak for both novices and experts. The upgrades for the 2017-2018 season continued to change the look and feel of the resort. The way in to Caberfae was changed with an improved road that is twenty percent wider. The first thing you'll see will be the new balconies on the McKenzie hotel, the addition of timber trusses and a renovated exterior. Underfoot you'll reap the benefits of increased snowmaking and the addition to the snow grooming fleet, a Prinoth BR 350 snow grooming vehicle. Caberfae Peaks is always striving to enhance the overall resort experience for skiers and boarders. Improvements for the 2018-2019 snowsports season will provide exciting additions to this effort. 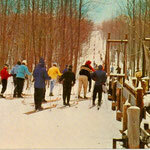 On the slopes, Caberfae Peaks continues its tradition of making and grooming the best snow in the region. Snowmaking has been bolstered with the addition of four new SMI Super PoleCat snowmaking guns and nine new SMI PoleCat snowmaking towers. Added to this is over 1000 feet of larger diameter snowmaking pipe on South Peak to allow for better flow, less friction loss, and a higher PSI. What this means is that Caberfae Peaks will be able to produce more great snow in record time. Better snow and more of it will benefit skiers and boarders of all levels, but this season novices will find themselves in the spotlight. That's because a newly renovated learn-to-ski beginner area includes the brand new Green Mountain Flying Carpet Lift. The carpet lift, similar to a conveyor, will run alongside a gradual more gently graded slope. This new lift and area is sure to be popular for first-timers and families. Alpine enthusiasts are not the only ones who will be cashing in on the fun this winter. Cross country skiers will enjoy the brand new cross country ski rental equipment from Rossignol. Nordic skiers will be able to rent XC equipment at the Peaks and access 15 km of groomed trails right from the resort. With all of this happening on the slopes, perhaps the most dramatic improvements are in the base area. The parking lot will feature 200 additional parking spaces that have been resurfaced with recycled asphalt millings. The skier drop-off area has been revamped. 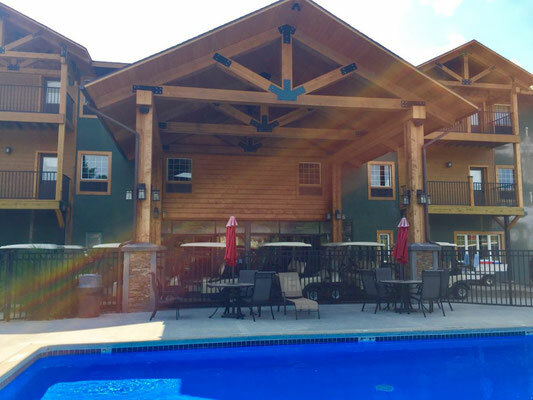 Plus, the area between the MacKenzie Lodge and the Blackmer Lodge has been totally reimagined for pedestrians with contoured landscaping, concrete sidewalks, and expanded gathering spots. 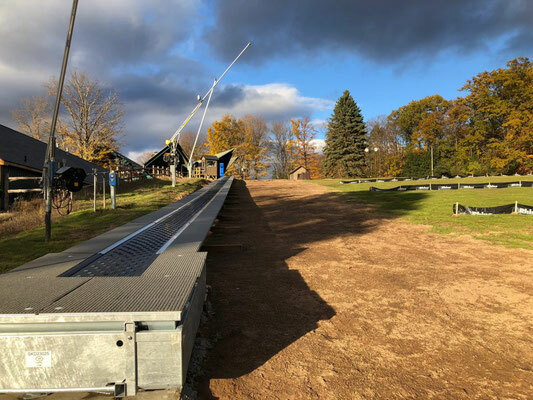 These changes have given the resort a new identity and attitude, something that surprises skiers returning to Caberfae after a several year hiatus and delights skiers visiting the resort for the first time. 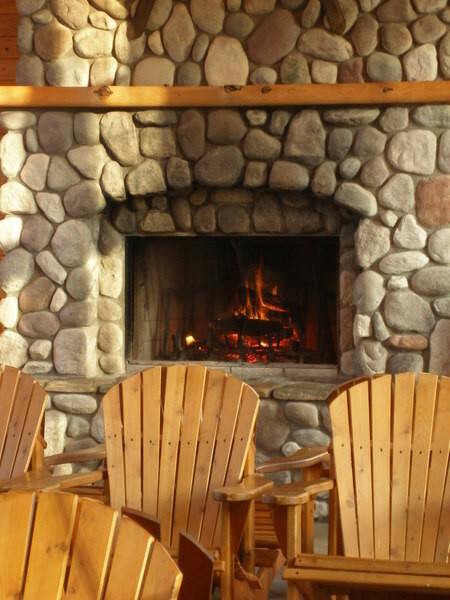 The original Michigan destination ski resort is is better than ever. The Magic Carpet and new base area for 2018-2019.